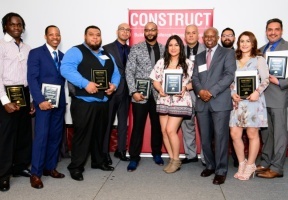 On Friday, April 13th, ComEd hosted a graduation ceremony for the largest graduating class of CONSTRUCT, a nine-week job training program aimed at getting more diverse candidates into local construction and energy jobs. 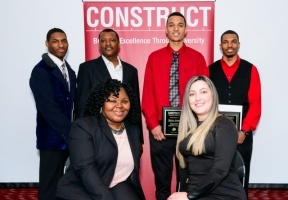 CONSTRUCT, organized by ComEd in conjunction with 38 construction industry companies, two local utilities, and eight social service agencies, offers participants the information and guidance needed to compete for entry-level construction and project management jobs in construction and energy-related fields. “Jobs are the lifeblood of our communities, providing them with economic strength and vitality. We understand the importance of being a local employer and we are proud to offer a pathway to our industry for people of our communities,” said Anne Pramaggiore, president and CEO of ComEd. “We applaud the 2018 graduates and look forward to their participation in the construction workforce of the future.” The 2018 CONSTRUCT class is the sixth group to go through the program since its inception in 2013. Career guidance, life skills training, and practical education about the construction industry are part of the program, as well as increased knowledge of requirements for entering construction-related fields successfully.